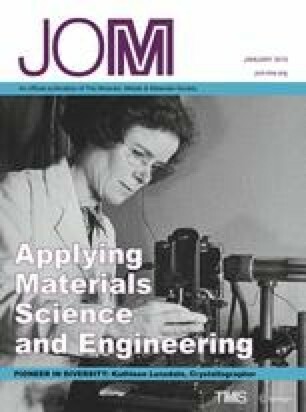 Integrated computational materials engineering (ICME) approaches to composition and thickness profiles of sputtered thin-film samples are the key to expediting materials exploration for these materials. Here, an ICME-based semi-empirical approach to modeling the thickness of thin-film samples deposited via magnetron sputtering is developed. Using Yamamura’s dimensionless differential angular sputtering yield and a measured deposition rate at a point in space for a single experimental condition, the model predicts the deposition profile from planar DC sputtering sources. The model includes corrections for off-center, tilted gun geometries as well as shadowing effects from gun chimneys used in most state-of-the-art sputtering systems. The modeling algorithm was validated by comparing its results with experimental deposition rates obtained from a sputtering system utilizing sources with a multi-piece chimney assembly that consists of a lower ground shield and a removable gas chimney. Simulations were performed for gun-tilts ranging from 0° to 31.3° from the vertical with and without the gas chimney installed. The results for the predicted and experimental angular dependence of the sputtering deposition rate were found to have an average magnitude of relative error of \( 4.14\% \pm 3.02\% \) for a 0°–31.3° gun-tilt range without the gas chimney, and \( 2.12\% \pm 1.71\% \) for a 17.7°–31.3° gun-tilt range with the gas chimney. The continuum nature of the model renders this approach reverse-optimizable, providing a rapid tool for assisting in the understanding of the synthesis-composition-property space of novel materials. The online version of this article (doi: 10.1007/s11837-014-1234-2) contains supplementary material, which is available to authorized users. The work is supported by the South Carolina SmartState Center of Economic Excellence for Strategic Approaches to the Generation of Electricity (SAGE).